In 1973, OCA catalyzed into being with the vision of uniting Chinese Americans across the United States into one representative voice. Interest and concern had been stirring in different pockets of the country since the late 1980s. The movement started to grow as numbers of the Chinese American communities began to rally together. With this vision and strong determination, in September 1971, K. L. Wang and others established the Chinese American Leadership Council, the precursor to OCA, in Washington, DC. K.L. Wang then personally traveled through many cities in the U.S. to promote a national advocacy organization for Chinese Americans. In November 1971, at the urging of K.L. Wang, Alex Mark chaired a steering committee to establish a national organization for Chinese Americans in Detroit. By February 1972, the Association of Chinese Americans was established and incorporated in Detroit, with Alex Mark as its first president. A group of about 20 Chinese Americans in the St. Louis community gathered for their first meeting with K.L. Wang in late 1971. As a result, the League of Chinese Americans was formed in St. Louis in early 1972. Shortly thereafter, the bylaws were adopted and William Chang was elected its first president. On May 3, 1973, invitation letters to join OCA were signed by Alex Mark and K.L. Wang and sent to Detroit, Pittsburgh, St. Louis, Washington, DC and other Chinese American communities. Pauline Tsui of Washington, DC, served as the convention committee chair. Anna Chennault was instrumental in recruiting support from Congress and the Administration. The first National Convention was held on June 9, 1973, which became the official inception date of OCA. One hundred twelve delegates from across the nation attended the convention, in which the constitution, bylaws and the name of the organization were adopted. K.L. Wang was elected as its first national president. The Association of Chinese Americans in Detroit, while retaining its name, became a chapter. The original OCA in Washington, DC evolved as a distinct chapter with Harry Woo as its first president. 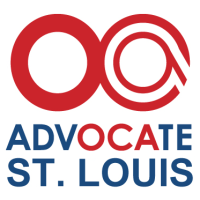 The League of Chinese Americans in St. Louis also joined in becoming one of the three founding chapters of OCA. 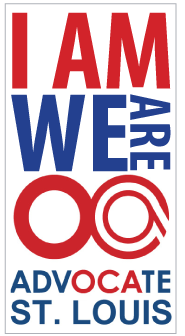 Today, there are over 80 OCA chapters and affiliates across the country working on behalf of Americans of Asian and Pacific Islander descent as an organization dedicated to advancing the social, political and economic well-being of Asian Pacific Americans in the United States. Many of our leaders in various chapters are Japanese, Filipino, Burmese, and Thai heritage thus we are not only about one ethnic group. The many achievements of OCA over the past years have been possible only through the commitment of many dedicated friends, members, officers, family, corporate partners, colleagues and leaders in the Asian American and Pacific Islander communities.